- It is a single component anaerobic thread locking adhesive. Thread Locker is suitable for low strength retention of threaded fasteners where easy dismantling is required for maintenance and repair. 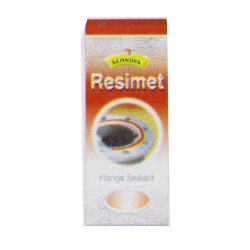 It is recommended for locking threaded fasteners of soft metal, e.g. aluminum and brass etc. A wide range of adhesives has been developed to meet all marked needs. Constant research and development is directed to extend product applications. The adhesive are generally classified in terms of performance. One part solvent free polyurethane elastomeric adhesive formulated to adhere most types of wood, parquet, strip and sheet timber flooring systems to concrete, timber, or over existing floors. • Adhering Parquetry to concrete or timber. • Underlay, prior to application of timber flooring. We are amongst the most reputed names in the industry, offering Solvent Free Adhesives​​.